The best way to travel is to set out on a secret mission, my friend Jenni Avins writes in the excellent Quartzy newsletter. I agree — and have this amazing, hard to find cheeseburger iPhone stand from Tokyo as proof! 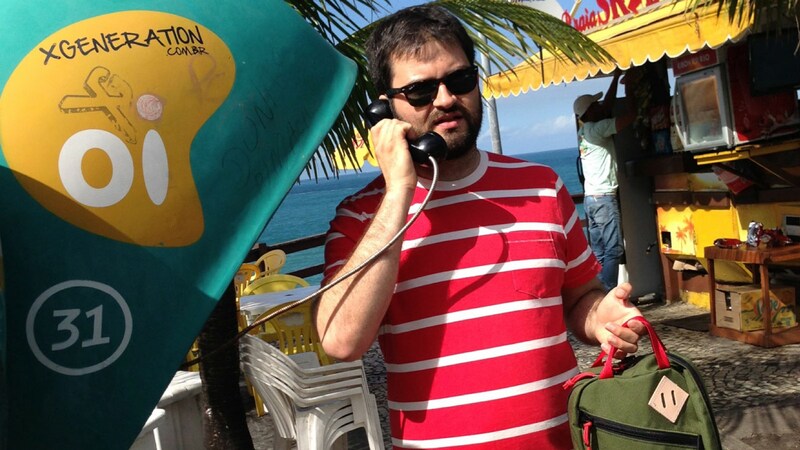 Hi, it’s Dan Frommer. Welcome to Points Party, a newsletter and website about my favorite topic: Travel rewards, credit card points, and loyalty programs. Being smart about points can potentially earn you thousands of dollars worth of free travel (and other fun stuff) a year. Companies don’t always make it easy to figure out their loyalty programs, which are always changing. And they often have confusing websites and policies. Consider Points Party a new guide to earning the best points and getting the most out of them. Between work trips as a business journalist, vacations, and other expeditions, I spend a good portion of the year on the road. The challenge: I have a limited budget, but I also appreciate nice things, good design, and in-flight ice cream, even if I have to bring it myself. That’s where collecting points makes a huge difference. I think about which companies I’m loyal to and which credit card I use for every purchase. And I usually turn those points into amazing free travel, including business-class flights and comfy hotel stays. I say this not to brag, but because I want to help you do the same! The world of points is what I stay up late reading about, and as many of you can attest, conversations with me frequently drift to points-related topics. And I’ve become inspired to start this newsletter as many of the resources I’ve counted on for years have lost their message, have become comically over-commercial, or are simply not my taste. For now, I’ll aim to publish the Points Party newsletter monthly, including strategy, tips, news, analysis, and reviews. My goal is to be useful — whether you’re just getting started, or you’ve been collecting points for years — by publishing clear, responsible, and time-saving information. There’s also this website, which is super bare-bones for now. And you can follow on Twitter and Instagram at @points_party for the latest. I’m doing this research for you as much as for myself, so please also ask me anything at dan@pointsparty.com and I’ll try to answer it. That’s also a good place to send ideas, your tips, or feedback. Points Party is a personal project. This is fun! You can support my work through affiliate links and potential premium services, which I’ll consider adding over time. But I’ll never let any commercial relationship get in the way of my editorial judgment, and I’ll never recommend anything I don’t believe. Your trust — in enjoying better travel experiences and getting more value — matters the most. If you find this useful, please tell a friend or colleague. They can sign up here. Thank you! Points are a valuable currency — and they’re fun! It’s easy to save a lot of money — or travel in a way you’d never otherwise be able to afford — if you play the points game right. Earn as many points as you can, and spend as few as you need to get what you want. But do spend them! Points lose value over time. Not always much every year, and some splurges are worth saving up for. But there’s no good reason to stockpile millions. The right credit card matters. You still earn airline miles for flying, but the innovation and growth in the points world is in credit cards. You’ll probably want a few different ones once you figure out your personal strategy. Don’t overextend. Aim to pay your balance in full every month. No judgment here on debt — I’ve been there. But never do it for the points. No amount is worth the cost of interest payments and the stress of falling behind. 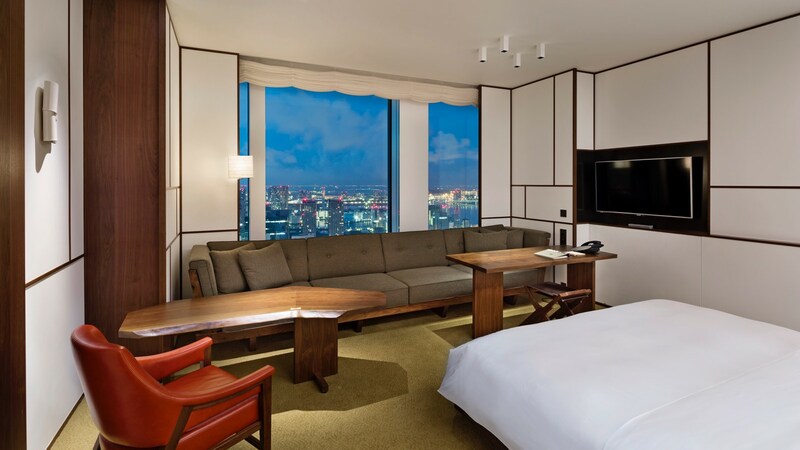 One of my favorite points redemptions — and, really, favorite hotels — is the Andaz Tokyo, Hyatt’s design-y hotel there. Rooms are big with skyline views, the pool is nice, it’s in a great neighborhood for running, and there’s good coffee downstairs at Toranomon Koffee. At 25,000 Hyatt points per night for a standard room, and with rooms often going for around $500 or more, it’s easy to redeem at a value of 2 cents per point or better — a good deal. I typically transfer Chase points to Hyatt. If you don’t mind (or are excited by) the Lost in Translation connection, there’s also the Park Hyatt Tokyo across town. It’s a bit more per night, at 30,000 points, but also a worthy redemption if you want to experience Japanese attention to detail (and Aesop-stocked bathrooms) in a classy setting. If you want to earn points toward free travel, spend more than a couple thousand dollars a month, and travel more than a few times a year, the first card I recommend to almost everyone is the Chase Sapphire Reserve. If you already have one, feel free to skip ahead — I’ll be back next issue with some tips on how to get even more out of it. Otherwise, read on. Perhaps you’ve heard about this card because of its popularity with millennials, its amusingly hefty metal construction, or its seemingly high ($450) annual fee. But it’s also an excellent value, especially if you spend money on dining and travel. Chase is also currently offering a sign-up bonus of 50,000 points after you spend $4,000 in your first 3 months — worth at least $750 in travel. The annual travel credit simply means that your first $300 spent on travel — including airfare and airline fees, Uber and taxi rides, hotels and Airbnbs, etc. — are credited back to your card. Since you’re going to spend that $300 per year anyway (or you definitely don’t need this card) you can think of this as effectively lowering the annual fee to $150. The real value of the Sapphire Reserve comes from its points program. Chase points are called Ultimate Rewards points, and with the Sapphire Reserve, you earn 3 points per dollar spent on dining and travel, plus 1 point per dollar spent on everything else. If you travel or eat at restaurants frequently, the points can multiply quickly. As I’ll repeat over and over, the value of a points card is only partially based on the rate at which you earn points. The other important factor is the rate at which you redeem points — and this is where Chase offers a particularly good deal. For starters, the Sapphire Reserve lets you redeem points for airfare and hotel bookings via its travel website at 1.5 cents per point. This isn’t the best rate, but you have total flexibility and no blackout dates, and these flights generally count as revenue flights toward airline status, so I sometimes book them here when I’d rather not spend cash. So your minimum return from dining and travel purchases — the amount of free travel you can book via this portal — is 4.5% back: 3 points per dollar spent, multiplied by 1.5 cents per point redeemed. That’s pretty good, especially if you spend a lot at restaurants. Your return from “everything else” purchases is a minimum 1.5% back. I say minimum because Chase also lets you transfer points to 13 partner points programs, such as United Airlines, British Airways, Southwest, Air France, Hyatt, IHG, and Marriott hotels, and more. These let you book award travel — including international business- and first-class flights and expensive hotel rooms — at a rate that’s potentially much higher. That’s why many points experts value Chase points around 2 cents per point. That rate implies a return around 6% on dining and travel spending and 2% back on “everything else” spending — an even better deal. As an example, if you spend $1,000 a month on travel and dining and $1,000 per month on everything else, you’re earning roughly $700 to $900 worth of Chase points per year. 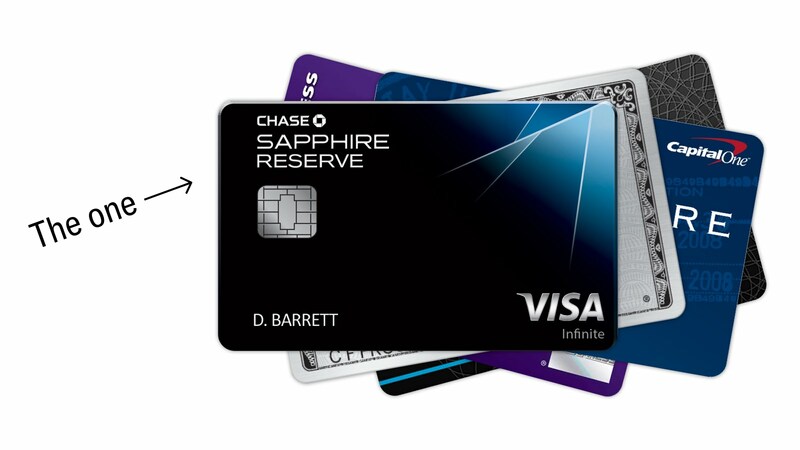 I’ve used the Chase Sapphire Reserve as my primary card — particularly for dining and travel purchases — since it launched two summers ago, and have already earned several free flights and hotel nights. I’ve booked American Airlines “revenue” flights to Hong Kong and Los Angeles, transferred points to Hyatt for nights at the Andaz Tokyo, and converted them to British Airways Avios for short flights in Europe and North America. And I’m hardly alone in recommending it. The Wirecutter, which did its typically exhaustive analysis, also calls it the best travel rewards credit card “for serious travelers or high spenders.” It also won The Points Guy’s “battle of the premium credit cards.” While everyone has their own points needs and wants, the Chase Sapphire Reserve is my favorite all-around premium card. A new Capital One Venture card partnership with Hotels.com means you can earn 20% back on hotel bookings: 10 Capital One points per dollar spent on bookings at hotels.com/venture, plus 10% toward a free night via Hotels.com’s loyalty program. Potentially lucrative if you make a lot of hotel bookings but don’t care about elite status or accumulating points at hotel chains. The Points Guy has a FAQ. Apple Pay purchases earn 5 points per dollar through March for Chase Freedom cardholders. It’s part of the Freedom’s rotating quarterly bonus categories, which also include gas stations, internet/cable/phone providers, and Chase Pay, Android Pay, and Samsung Pay, up to 7,500 points per quarter. (I tested, and both in-store and in-app Apple Pay purchases count.) It’s a great way to earn more points at places like Whole Foods and the Apple Store. The play here is to also have a Chase Sapphire Reserve or Preferred and transfer your points over for better redemptions. There’s a new Starbucks credit card in partnership with Chase. I’ll do a full analysis, but it seems like a pretty limiting way to use rewards. 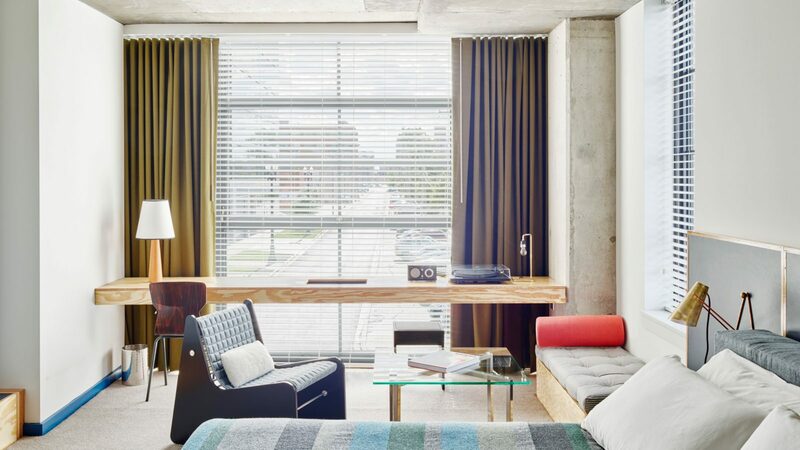 I spent a night at the newish Ace Hotel in Chicago and liked it. The rooms feel more Scandi-industrial than Brooklyn/Portland hipster, which works here. It’s near great restaurants (Elske) and coffee (Sawada) and close enough to downtown. And as you would expect at an Ace, there are artisanal, effective cocktails in the lobby bar. There’s no Ace loyalty program; I used a Hotels.com free night credit that covered most of the cost of my room, and would probably book over there if I paid full price for it.